Some people run for fun. Some run to compete. Charlie L. runs for a cause. 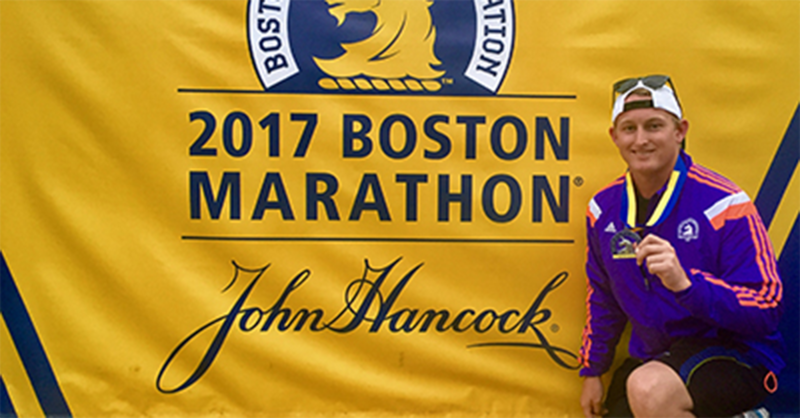 Charlie, Branch Rental Manager in Orange Park, Florida, recently completed his third Boston Marathon and fifth overall. Most of his marathon appearances helped raise money to fight deadly diseases. All of them were motivated by his mother. Charlie’s mother, Phyllis, passed away that year. But Charlie has kept his promise, running in three consecutive Boston Marathons starting in 2015. In 2017, he ran on Tedy’s Team, named for former New England Patriots linebacker Tedy Bruschi, a stroke victim in 2005 who advocates for stroke awareness. Charlie grew up in Daytona Beach, Florida, but most of his family lives in Boston. That, plus his father’s passion for running and Charlie’s dedication to his mother’s memory, led Charlie to run in the world’s oldest annual marathon. Competing in a 26.2-mile race requires dedication, rigorous training and a strict diet, but potential runners in the 120-year-old Boston Marathon must also meet time standards for age and gender. It’s also a way Charlie can thank his father and late mother. His dad’s dedication to running — although in his 60s he beat Charlie in the 2015 Boston Marathon— inspires Charlie to push himself. It was Charlie’s mother who recommended he apply for a job at Enterprise. He started his Enterprise career in September 2014 and rose through various positions to his current post as Branch Rental Manager. He’s found a close correlation between his Enterprise career and his marathon running.